Nikon D400 Book Available for Pre-Order? Now that we’re through the gauntlet of camera releases over the past few months, I suppose it’s time to fuel the fires for the next round for Summer and Fall 2012. What could be better to kick up the rumor mill than a book listing for the Nikon D400 on Amazon? It’s available for pre-order and currently dated for September 2012. In what could be the biggest camera launch of the year, one of Nikon Rumors’ sources has tipped the launch of the Nikon D4 and D400 for August. Given the coming Sony A77 with a 24MP sensor, it is most likely that the D400 will sport the same 24MP APS-C sensor but labeled with the ubiquitous “Developed by Nikon” asterisk seen in recent Nikon pro-DSLR specs. 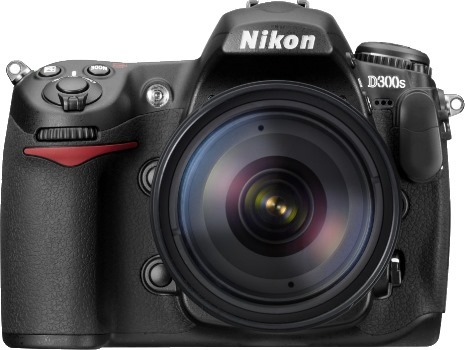 The D400 will almost certainly feature 1080p video to follow the recent trend of Nikon DSLRs. Hopefully, the D400 will avoid the cumbersome aperture adjustment problem that made the Nikon D7000 more frustrating for video capture. Digital Rev has a new, suggestive article entitled The Nikon D400 & D750 Revealed or Just Viral Marketing? While the title would lead you to believe that there’s been some kind of leak or specific promotion on the D400 and/or D750 (neither of which have been confirmed by Nikon), the post appears to simply be Digital Rev’s take on recent rumors, along with some fancy mockups and spec/wish list. I’ve had several emails to this article, suggesting that it’s a leak of some sort. Upon second glance, it seems to just be a racy title with no evidence of either of these cameras being revealed by Nikon, or evidence of viral marketing on behalf of Nikon. In essence, it appears to simply be speculation. We’re still waiting for something solid on the Nikon D400, Nikon D750 or Nikon D800. Stay tuned. Nikon D400 Coming April 14th-ish? Several dates have recently surfaced regarding the release of the Nikon D400, which everyone thought would appear at PMA. With Canon’s announcement of the Rebel T1i out of the way, many expect Nikon’s D400 news to be imminent. The consensus appears to be April 14th as the date Nikon has invited certain publications to a press conferences. Additional speculation suggests that it may not be the D400 that arrives, but rather a D40/D60 line of camera that is introduced. Of course, Nikon could drop a couple of new models like they did with the D3/D300 combo. Nikon Rumors put together a translated version of a press invite, which suggests multiple products released on April 14. Nikon Launches New Products in Spring! Nikon is pleased to offer you its exclusive new product highlights to be able to imagine. On this occasion, Nikon Austria you would like to cordially invite a press breakfast. In good tradition, the breakfast at the Hotel Sacher again instead. Following the presentation is available from Nikon happy to take questions from you and looks forward to a stimulating exchange of information. 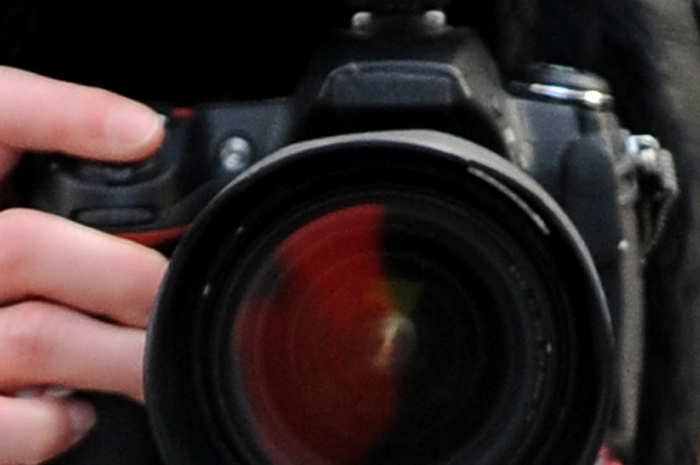 For the latest news and rumors, stay tuned to Photography Bay’s Nikon D400 page. Also, keep up with the Nikon D65 rumors. One of the biggest rumors floating around right now is the Nikon D400. Rumors of this camera have been swirling since late 2008. 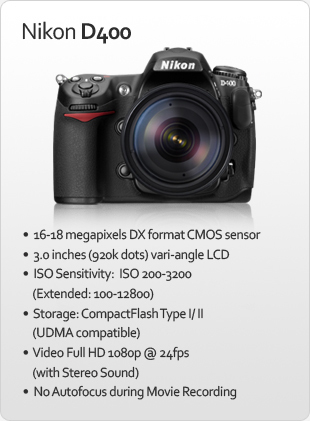 Rumor has it that the Nikon D400 specs will be 14.8MP, cover ISO 50-25,600, and can shoot HD video. 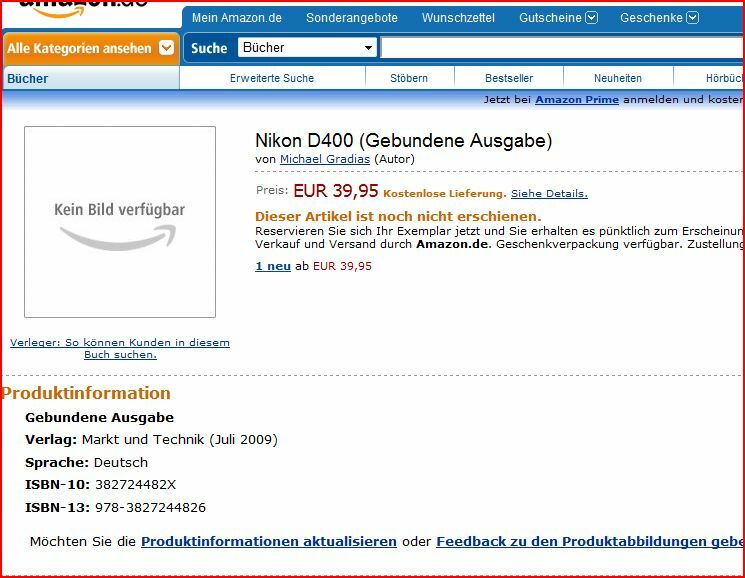 Last month, the rumors really picked up, particularly in light of a Nikon D400 book that surfaced on a variety of sites, including Amazon.de. Stay tuned for the latest word on whether or not the Nikon D400 will come to fruition. Also, you would do well to check out the Nikon Rumors site at http://nikonrumors.com/ if you are into the Nikon scene. I just confirmed from Nikon at PMA what we all were beginning to believe. There will, in fact, be no new DSLRs from Nikon at PMA. That means the rumors for the Nikon D5000, D65 and D400 were bogus rumors . . . as far as PMA releases are concerned. We’ll be keeping the ears to the ground though for possible Summer 2009 DSLR releases. 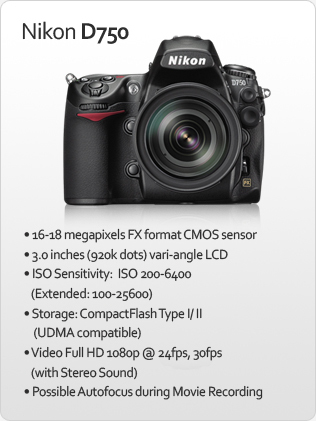 As noted yesterday, Nikon is really pushing the success of the D700, among its other DSLRs. I was checking to see if anything had surfaced on the Nikon D400 and I noticed that an “exact match” (when you put your search term in quotes) search for “Nikon D400” produced a number of new stories about the rumored camera, but also revealed that legitimate retailers, like B&H Photo, Adorama and Amazon.com, are buying ads in Google’s search results for the exact match term “Nikon D400”. I recalled that B&H and Amazon did the same thing with the D90 back in August, just prior to its release. 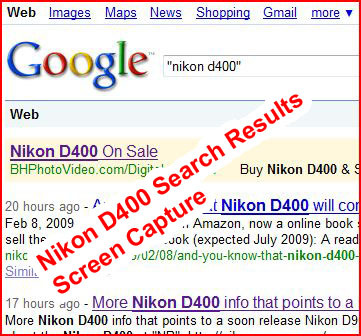 For now, the links are going to search results pages for Nikon D400. And, here’s the search query that I used. The rumors and chatter are in full force now. If anything new is coming from Nikon at PMA, I’m strongly leaning toward the Nikon D400 as their DSLR release. While none of the sources I’ve read indicate substantial reliability on the specs, I think these make sense and are quite reasonable. First, it crushes the Canon 50D, particularly if high-ISO performs anywhere near the D700. Second, it’s enough of a step up from the D300 to be a true replacement as opposed to an “oh, we’ve got an upgrade” kind of release. 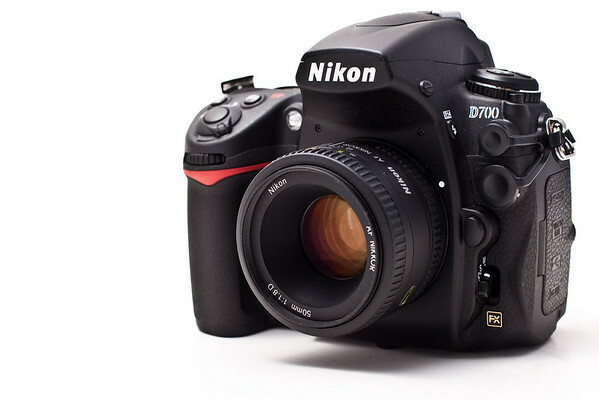 For the latest news on the D400, stay tuned to the Photography Bay front page and the Nikon D400 Rumors page. Anyone heard of, seen, touched or dreamt of the Nikon D400? Fire away in the comments below or email me at pic at contact [at] photographybay.com. 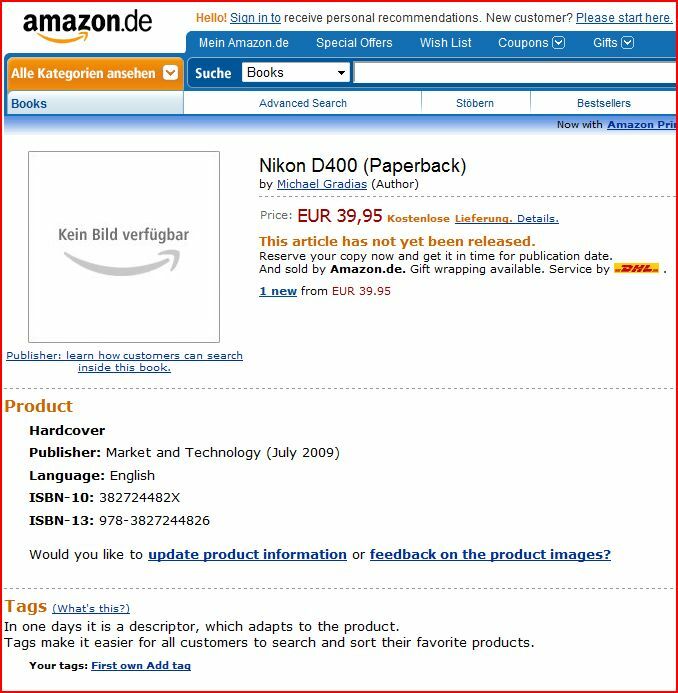 Amazon Germany has a listing for a Nikon D400 book that is a hardcover book and appears to be set for release in July 2009. A search for the ISBN numbers noted on the product page reveals nothing more than forum posts and blog chatter about this particular listing on Amazon.de. The screen capture above is the actual page on Amazon.de. The below screen capture is just and automated translation of the same. While the Nikon D400 clearly remains a rumor for now, this adds a little fuel to the fire that’s been building for a few months. 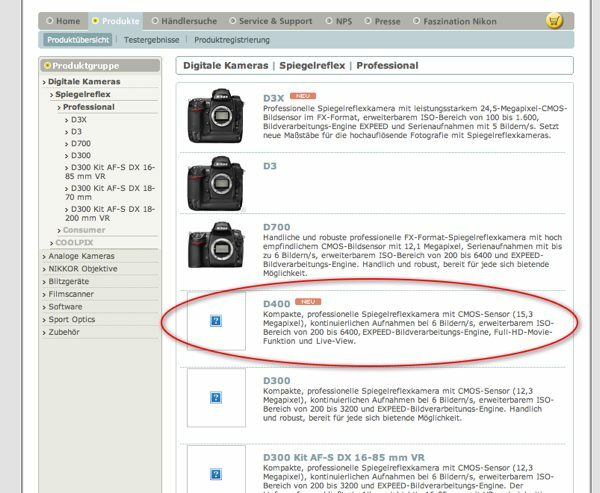 If you recall, there was a similar “leak” of a book on Amazon.com for the Canon 5D Mark II prior to its release way back in May 2008. Remember this. After the leak, the author issued a statement vehemently denying any legitimacy to the rumor. We all know how that one turned out. 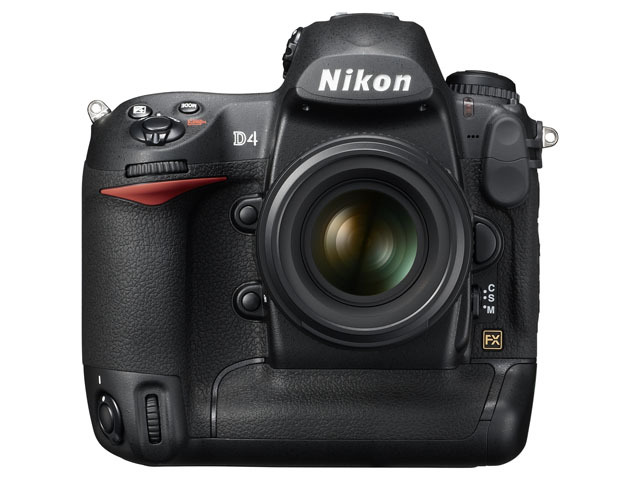 For the latest news and rumors on the D400, stay tuned to Photography Bay’s Nikon D400 page.